OUR MISSION To provide our Community Members with the Highest Quality Home Comfort, while meeting their Individual needs. OUR VISION To be the Premier Provider of Quality Home Comfort Products & Services in the Waterloo Region; while maintaining our position in the Community as a Responsible and Contributing Family Business. We will grow with the Hearth, HVAC and Grilling Industries, to continually provide efficient, effective, environmentally conscious, value based products for many years to come. OUR PROMISE We operate our business on values of Honesty, Integrity & Service. Our daily goal is to earn the Trust of our Community, one Customer at a time. We at Bast Home Comfort stand behind all our Products, Installations, and Service to give you peace of mind that you will receive a Completed Contract in an efficient manner. WHAT WE DO Our Business is Hearth, Heating & Air Conditioning, Indoor Air Quality, and Outdoor Grilling. We have the biggest showrooms in the area that each feature over 50 burning fireplaces and a wide range of Gas Grills and Charcoal BBQ's from Quality Manufacturers. We carry the area's largest selection of Brands in Heating, Cooling, and Air Quality. We Sell, Install, and service all the products in our portfolio, and back-up everything we do with our Company Promise. OUR HISTORY Bast Home Comfort is a family owned and operated business serving the Southwestern Ontario region. David Bast began its operations in 1988 where the business had its origins in a small storefront on Hazelglen Drive in Kitchener. In 1990, a need for larger premises brought on a move to 620 Davenport Road in Waterloo, where its corporate office and Waterloo showroom has remained to this day. In 24 years of business, the company has undergone four expansions, including May of 2000, when a second retail location on 471 Hespeler Road in Cambridge was opened. OUR FUTURE Initially specializing in gas and wood fireplaces, stoves and inserts as well as gas grills, our expertise has grown to include furnaces, central air conditioning, indoor air quality products (heat recovery ventilator and filtration systems, HEPA filtration systems etc), electric fireplaces and custom fireplace enclosures. J and J Masonry is a family owned and operated business out of Waterloo Region which specializes in the design and build of custom stone fireplaces through-out Canada and the USA. We firmly believe creativity and professional craftsmanship are priority number one on all projects. Due to this we keep our business crew to thee certified stone masons with over 50 years combined experience. 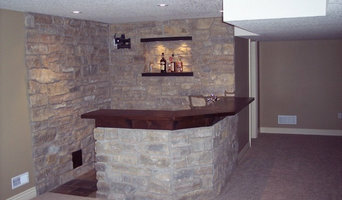 We take great pride in building fireplace and stone projects that produce the greatest WOW factor. We're the manufacturer of 100% genuine granite fire pits that are easy to install, beautiful to enjoy and durable to last a lifetime. We ship our unique DIY granite fire pits and fire tables direct-to-your-door throughout Canada and the USA. *Authorized Bullfrog Spa Dealer* Porky's waited seven years to find the perfect hot tub lines to complement our existing leisure offerings in the London area. 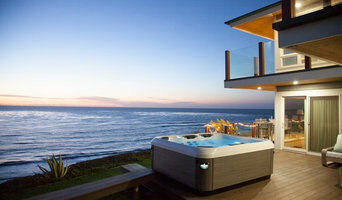 The Bullfrog hot tub defies conventional beliefs and challenges existing tub designs to bring customers the first and only customizable hot tub. By easily switching Jet Paks from seat to seat it allows for the ultimate in tailor-made home hydrotherapy. Porky's strives to offer the most current product lines and innovative installations to keep us on top of emerging world trends. We represent manufacturers from Vancouver to Belgium, Isreal to Washington; we give our customers the choices of the world. At Porky's we pride ourselves on carrying only the best in North American made BBQ's and Smokers. Assembly, delivery and removal of your old BBQ are always available. Come on into Porky's to choose your new grill from one of our excellent brands. design and build custom wooden or stone mantels ,media surrounds ,bars ,custom wall units .the regions largest display of custom fireplaces and majestic ,Vermont castings gas fireplaces as an authorised dealer .complete gas fire and mantel packages .one stop shop . Fergus Fireplace offers a large selection of Wood, Gas & Pellet-Fueled Fireplaces, Stoves and Fireplace Inserts. We offer expert advice gained from over 17 years in the business. We employ our own installers so we work with you through your entire project. Fergus Fireplace also carries BBQ's, Air Conditioners, Furnaces, Gas Logs, and Cook-stoves! JoceCo. offers a full range of custom and unique Gas, Wood and Electric Fireplace Stone Mantels & Overmantels to suit every taste and accommodate any budget. In addition, we offers the most extensive selection of high quality custom stone fireplace mantel (shelves/surrounds), overmantels, kitchen hoods, outdoor firepit tables, panels and columns. Safe Home Fireplace is your destination for the finest in gas and wood burning fireplaces in London Ontario and surrounding area. Being a dedicated fireplace business ensures that you are getting optimum advice and service. Also being a smaller family run business allows us to keep pricing fair and in line with your budget. Enjoy a cozy warm fire that is clean safe and efficient. At Safe Home Fireplace our sincere desire for our customer's satisfaction separates us from the competition. *Authorized Napoleon Dealer* Overland RNC provides and installs home heating, cooling, and air quality system solutions to match your lifestyle and comfort level. One of the best ways to ensure your comfort and health is to have the right kind of heating and cooling system. We provide industry leading products of exceptional quality and design from Lennox, Napoleon Fireplaces, Goodman Air Conditioning & Heating, and Lennox Hearth Products. We offer an extensive collection of wood burning, natural gas, propane and electric fireplaces, as well as premium patio furniture, and outdoor fireplaces. What should you know about buying a fireplace in London? Since wood smoke contributes to air pollution, many cities have banned the use of wood-burning units. If you’d like to buy a wood burning unit, check the London, ON city policies first. If your home already has a wood-burning unit that you’re concerned about, contact a fireplace manufacturer to replace your wood-burning unit with an environmentally friendly electric or gas alternative. Gas inserts can be efficient heaters and may lower your electric-heat bill. Many adjust to provide high heat on a cold night or a low-burning flame for ambience. Interior fireplaces and mantel designs are as varied as home interiors. 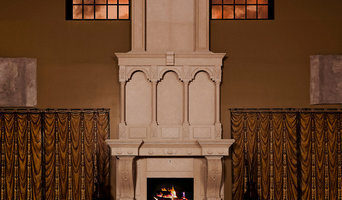 From custom fireplace mantels made to conceal a flat-screen TV to custom hearth designs with elaborate Renaissance-style stone mantels, the latest designs can be found by visiting London, ON fireplace showrooms. Find fireplace manufacturers and showrooms, plus fireplace installation professionals, on Houzz. 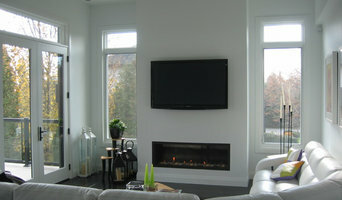 Go to the Professionals section to find London, ON fireplace design and installation experts.